I didn’t have enough time to complete this sketch on site. I worked on it at home, using the image of the man’s stance in my mind’s eye, taking liberties when my memory failed. 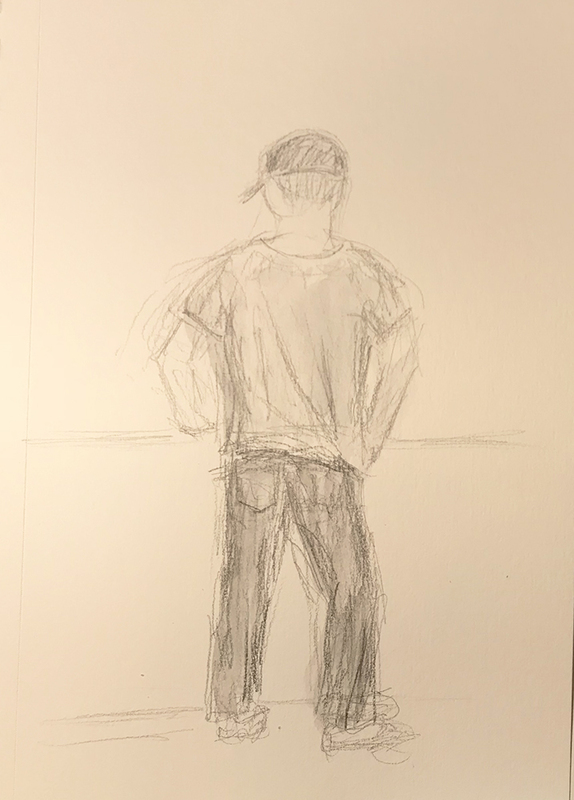 This entry was posted in Personal Stories and tagged artistic process, creativity, memory, pencil sketch, portrait, posture, sketch, stance, visual art, watercolor wash. Bookmark the permalink.